Those who use Niagara Street for travel can look forward to more construction once the current massive work between Downtown and Porter Avenue is finished. Crews are currently working on the section of Niagara Street between Niagara Square and Porter Avenue. City planners want to re-do the street between Porter and Ontario, with work in 2017 and some of 2018. They were looking for public comment last night in D'Youville College. "It's fantastic," offered Bob Shibley, Dean of UB's School of Architecture and Planning. 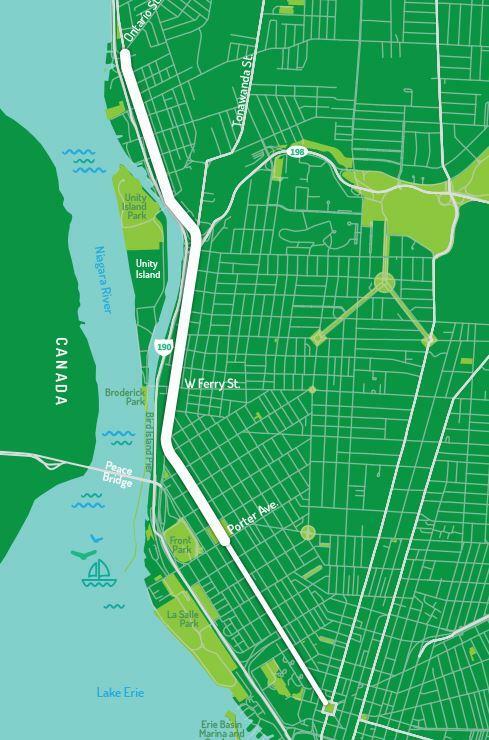 "This project is one of those kind of glue projects that really starts to look at how we imagine a kind of storm water management, multi-way, bike, walk, bus and rapid bus kind of environment." Shibley says when his department looked at the West Side near Niagara a quarter of a century ago, the big issue was safety, personal safety. Now, people in a changing ethnic neighborhood want improved traffic as well as ecological control of storm water. The next phase of work along Niagara Street will run from Porter Avenue to Ontario Street.